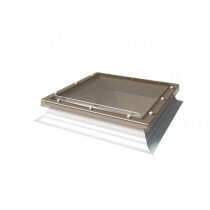 Mardome rooflights are designed and manufactured by the largest rooflight company in the UK. These renowned products are designed for flat, low pitched and curved roofs (the maximum pitch for the following products is 15°.) Their varied range makes them ideal for new build and refurbishment projects. 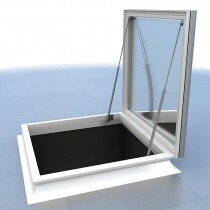 These rooflights are compatible with the following roofing systems: Single ply, Bituminous, Metal and Liquid roofs. 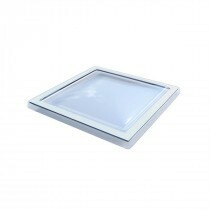 Each Mardome rooflight is glazed with Longlife polycarbonate, which is 200 times stronger than standard glass but less than half the weight. This gives the lights superb impact resistance, allowing them to easily withstand extreme weather conditions. They also feature dual sided UV protection, preventing 98% of damaging UV radiation from passing through the polycarbonate pane. Together with UV resistance, their professional construction ensures that they are fully weathertight and fully compliant with British fire requirements. Mardome’s sleek, contemporary design can effortlessly brighten interiors, providing any number of potential benefits of increased sunlight, including: physiological benefits, a positive impact on workplace productivity, increased sales in retail shops and even improved patient recovery times in hospitals. Another benefit of their increased natural light by maximising the glazing area, is achieving optimum thermal performance helping to create bright, more energy efficient buildings. This means that they exceed the thermal requirements set out in Part L of the Building Regulations, and can assist buildings in meeting their CO2 emissions targets. 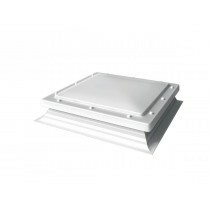 If extra security is a requirement in your project, we also offer Mardome Ultra roof lights’ which allow for increased security with a modern aluminium security frame. They also come with a secret lock system and tamper-proof security fixings. 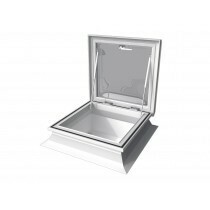 Have Questions About Our Mardome Rooflights? If you have questions about our range of flat roof windows, speak to our team by telephone or online. With over 40 years of experience in roofing, we’ll help answer your questions about rooflights. We will also help you pick the necessary flashings for your project.